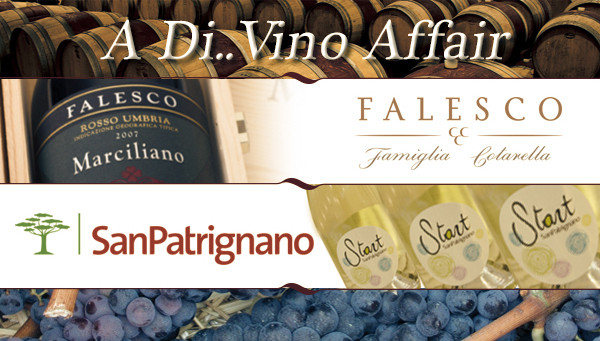 Our upcoming event, "A Di...Vino Affair" will feature exceptional labels from Falesco and San Patrignano Winery. 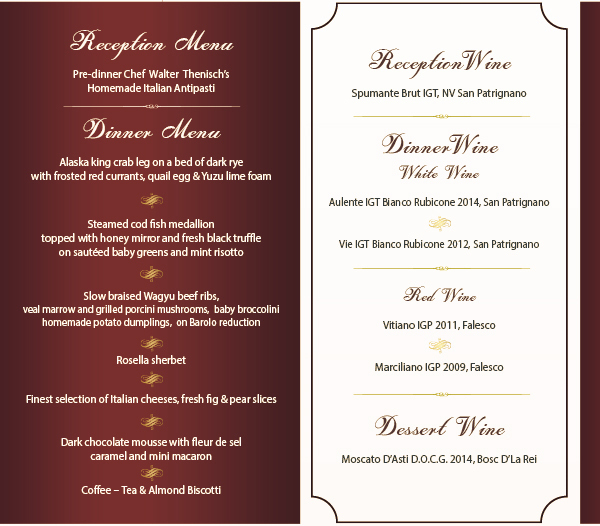 This is an exceptional opportunity for wine lovers to indulge in an excellent 5-course dinner that highlights the essence of authentic Italian flair. The evening will commence with a cocktail reception at Sunset Terrace Lobby & Bar at Royal Cliff Beach Terrace at 18:30 hrs. Dinner will be served at Royal Grill Room & Wine Cellar at 19:15 hrs. Discerning wine lovers are invited to partake on this exclusive journey through the world of Italian wines with two of Italy's most outstanding wineries; the Falesco Winery which has been producing quality wines for more than 30 years and now boasts an enviable trove of unique bottles from excellent vintages to luscious sparkling wines and creations of San Patrignano which are renowned for their use of top quality grapes and their great passion for tending the vines. 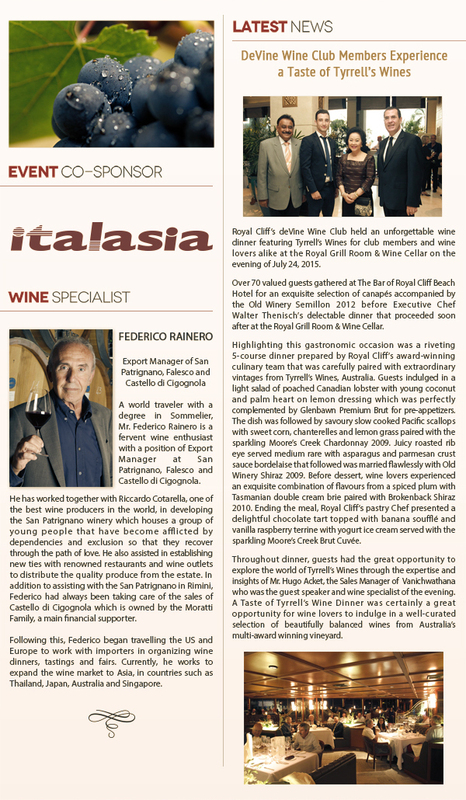 Mr. Federico Rainero, the Export Manager of San Patrignano, Falesco and Castello di Cigognola will join this pleasant and informative evening showcasing the distinctiveness of Italian wines as our esteemed wine specialist and guest speaker. I am sure that this event will be another remarkable night to remember. As wine aficionados and valued deVine Club members of the Royal Cliff, we are pleased to provide you with this wonderful opportunity to be able to taste and experience the variety and quality of the famous Falesco and San Patrignano wines. Please make your reservations early as seating will be limited. We look forward to welcoming you again to this exclusive evening.